I have to say that this is one of my favorite pasta dishes ever. Orecchiette translates to “little ears,” and they are the perfect little sauce vessels to transfer flavor to your mount, and are easy to eat. Salsiccia is sausage in Italian. 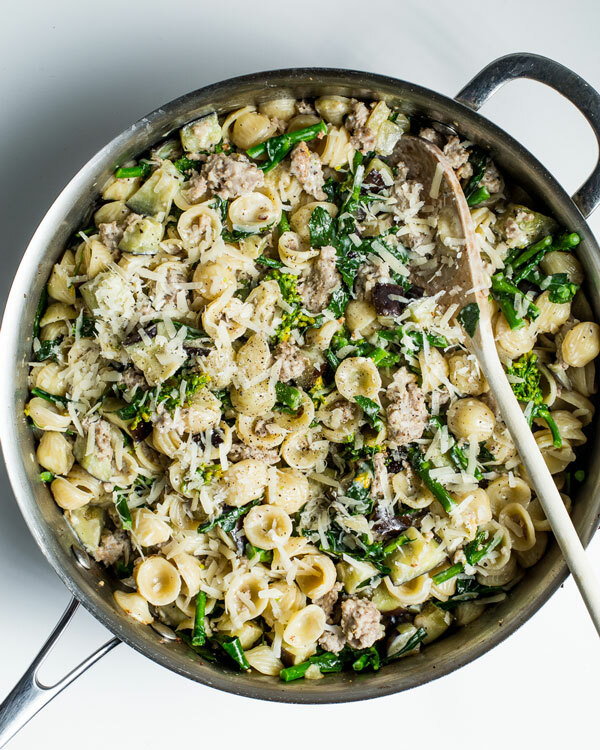 The combination of sausage, eggplant and rapini is just so delicious, you have to try it. This recipe will feed a crowd, or you could easily cut the recipe in half, but the leftovers are still amazing. 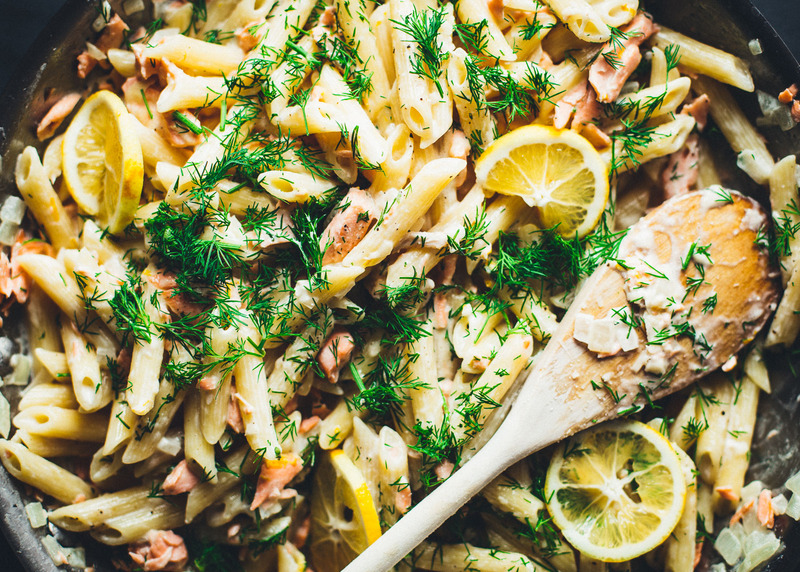 I like to have a good ratio of ingredients to match up to the pasta, and every bite of this dish will have lots of goodness. If you haven’t heard of Rapini (or Broccoli Raab) before, it’s a leafy green vegetable like broccoli, but doesn’t have a head like the broccoli does. Boil water for pasta. Cook pasta al dente. 1 minute before it is done, cook the rapini for 30 seconds in the water. Meanwhile, heat a large sauté pan with olive oil over medium-high heat. 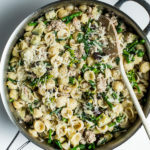 Add sausage and break it up with the back of a wooden spoon into bite size pieces. Remove from pan once it is browned and cooked through, keeping the oil in the pan. Add the eggplant to the pan with 1 to 2 tablespoons more olive oil (eggplant absorbs a lot), and cook until it is soft, about 4 more minutes (reduce heat to medium). Add garlic and pepper flakes, cook for another minute. Add the rapini and sausage back to the pan. Add cream and bring to a simmer. Add the cooked pasta and cook for another few minutes until the sauce thickens and coats the pasta. Remove from heat, stir in 1/2 to 3/4 cup grated parmesan. Season with salt & pepper.